Looking for a fun way for kids to help pass the time in an airport? Then try this free printable airport game! Long waits in airports are never fun – especially when you’re traveling with little ones! 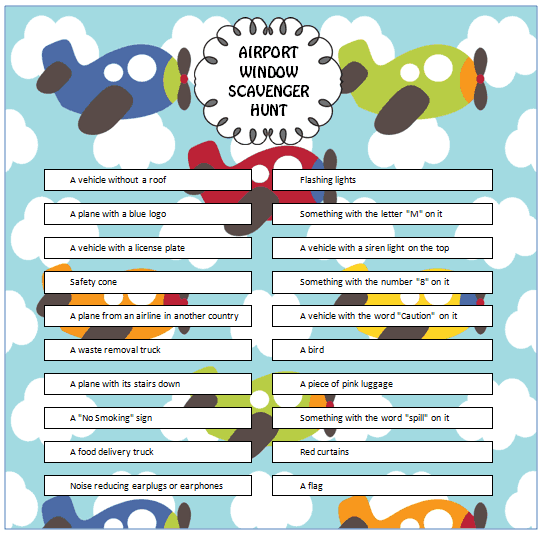 Help pass the time with this fun & free printable airport game! 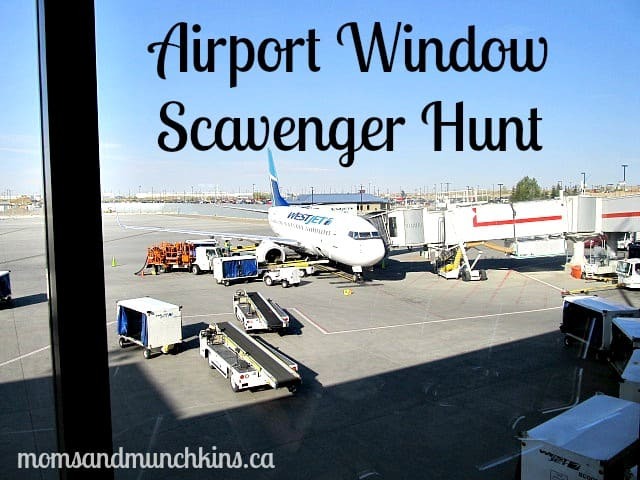 This game is easy to play – just look out the airport windows and see how many of the scavenger hunt items you can see outside. Click here for the free printable. The goal of the game is to find these items outside the airport while watching out a large window. You could award fun prizes like a small treat or a small toy. I Spy Airport Bingo – A simple & free printable game that opens your eyes to everything around you at the airport. Don’t blink or you may miss one of the searchable items! Airport Word Search – A nice quiet game perfect for curling up in a chair with while you wait for your next flight. What do you do to help pass the time in the airport? Does your family have a favorite airport game? Let us know in the comments below! Stay updated on the latest ideas for family fun plus free printable games by following us on Facebook, Twitter, Pinterest and Bloglovin’. That is a neat idea! I bet the kids sure like it! very cool idea! We play I spy whenever we need to wait somewhere…or colour. Great idea 🙂 My kids like playing eye spy type games. I used that when teaching my oldest his colors. He caught on pretty fast than. I love this idea. With a few modifications my two year old could even play that! Thank you for the great idea! I came on over from Family Fun Friday! Have a great weekend!